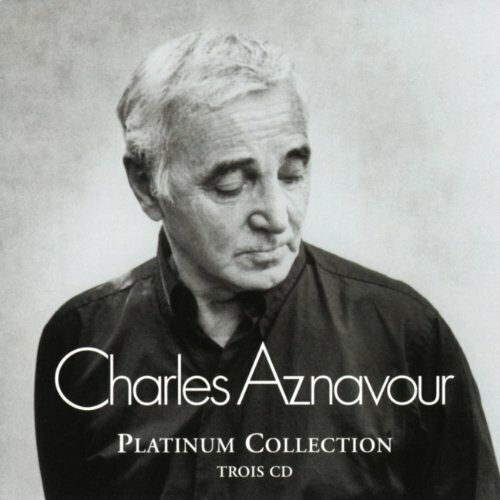 Platinum Collection by Aznavour, Charles at WA Tunes. MPN: CDEMI77473. Hurry! Limited time offer. Offer valid only while supplies last. Import exclusive compilation for the best-known French music hall entertainer in the world features 60 tracks on three CDs. EMI. Import exclusive compilation for the best-known French music hall entertainer in the world features 60 tracks on three CDs. EMI. 2004. If you have any questions about this product by Aznavour, Charles, contact us by completing and submitting the form below. If you are looking for a specif part number, please include it with your message.